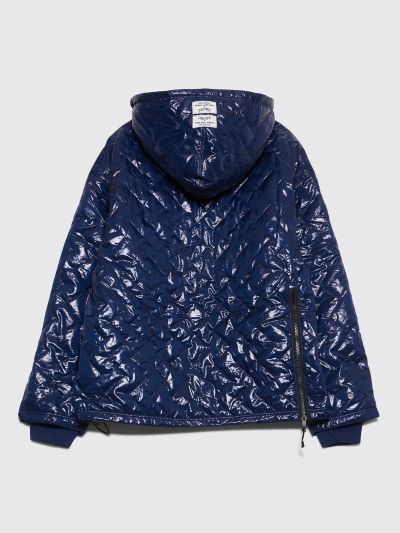 Quilted anorak from Converse made in collaboration with P.A.M. Features a drawstring hoodie, a kangaroo front pocket, elasticated cuffs and a straight hem with drawcords and zippered back vent. 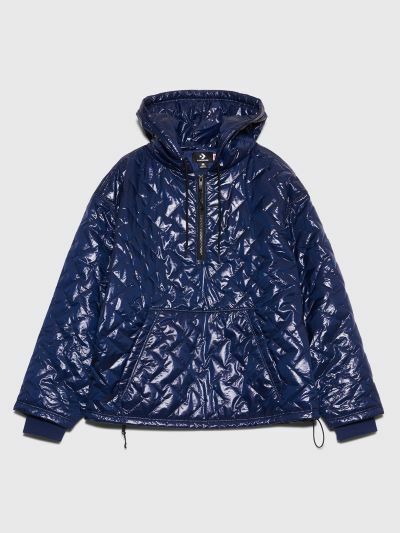 Navy anorak. Made from 100% polyester. Boxy fit. Fits true to size.